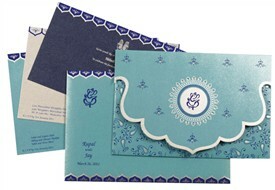 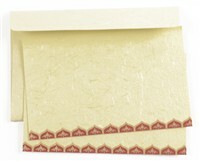 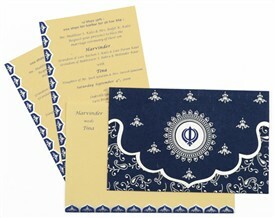 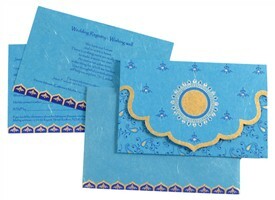 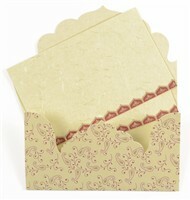 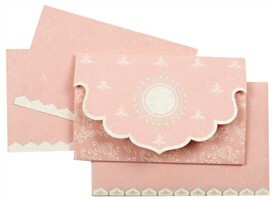 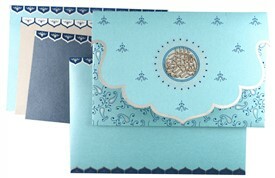 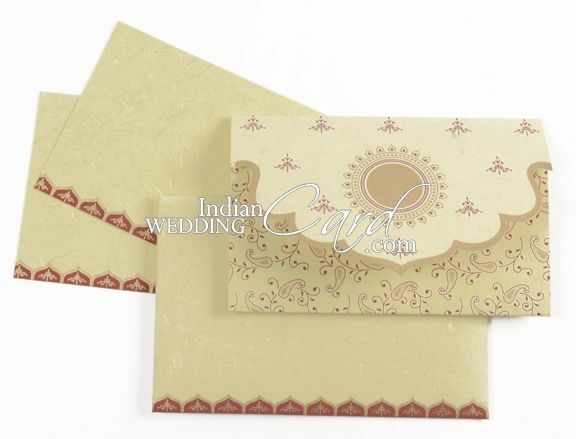 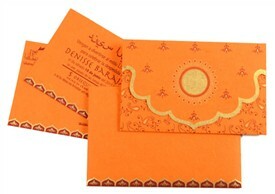 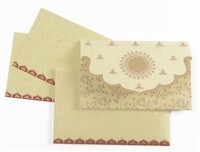 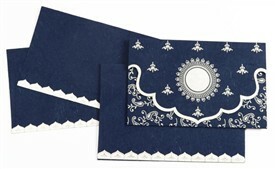 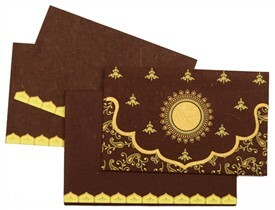 D-791, Cream Color, Handmade Paper, Small Size Cards, Designer Multifaith Invitations. 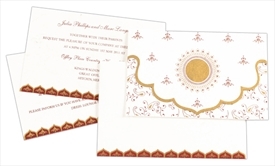 The front of this card has the upper fold in a traditional temple arch shape with a base design of decorative temple motifs in maroon and gold and a circular window in the center with border design for the symbol of your choice. 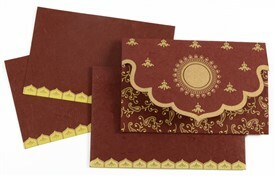 The lower fold has a floral design base in maroon and gold. 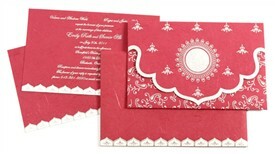 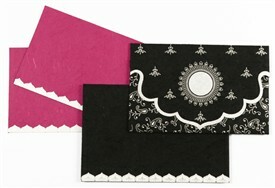 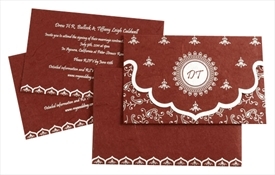 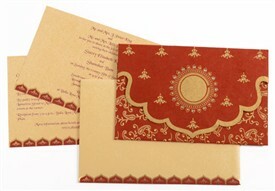 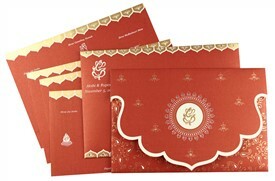 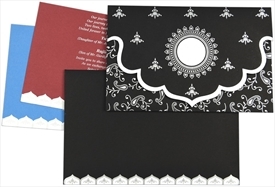 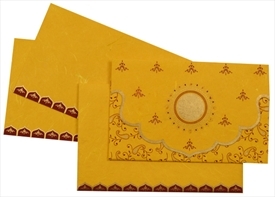 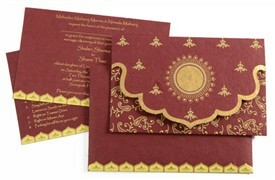 The inserts and envelope have border design in maroon and gold combination.